GuideStar’s new effort is laudable; but could be flawed. GuideStar has announced the coming availability of a new level of participation for nonprofits, something called the Platinum Level. The intention behind it, the creation of a tool to bust the Overhead Myth, is laudable. For too long, the notion has dogged the sector that anything a charity spends beyond “program expenses,” assumed by most people to be direct benefits for clients, was bad. This led to numerous artificial and harmful practices as charities contorted themselves, their reporting, and their budgets to appear to spend the overwhelming proportion of their dollars on client benefit. Somehow, the idea grew that charities neither needed to nor should spend anything on equipment, competitive salaries, training, networking, or the many other things that can contribute to a successful organization. It is notable that GuideStar joined the BBB Wise Giving Alliance and Charity Navigator in issuing a call to the nonprofits and the donors of America, saying that it was time to bury this myth once and for all, noting that there were other considerations that were more important than an organization’s finances, and that a one-dimensional obsession with this metric was damaging the sector and, ultimately, those it exists to serve. 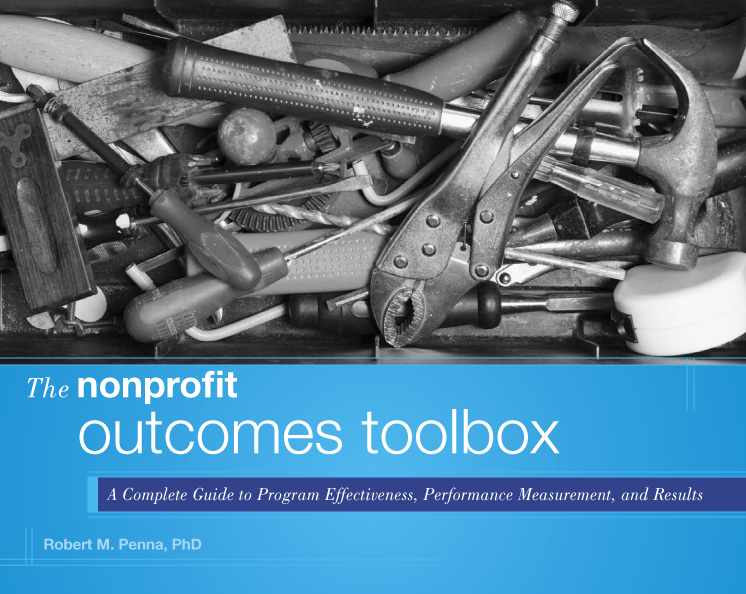 While a sound financial footing is necessary for any organization, GuideStar rightly notes that nonprofits are not about making money, so financial metrics don’t do these organizations justice. Something more is needed, especially if the nation’s donor community is going to be able to direct resources to where they will do the most good. Charity Navigator led the way with the introduction of ratings for Accountability and Transparency, dubbed CN 2.0, an examination of important measures having to do with an organization’s openness, and its adherence to certain best practices. It followed with the announcement of CN 3.0, a long range and ongoing plan for Results Reporting. Now comes GuideStar’s Platinum Level participation, touted as a way for nonprofits to report on their results. This in itself is a worthy effort, because for far too long charities have been hamstrung by the reporting requirements of institutional donors –government and foundations- formats which very often missed both the context and richness of what an organization achieved. But from what information is available, there may be a problem with what GuideStar is announcing. The system offers organizations three ways to choose to report. They can select from a GuideStar-provided “Common Results Catalogue,” they can create their own reporting metrics, or they can report on what they now have. While the Common Results Catalogue, if it follows the model of previous similar efforts, will probably have numerous worthwhile options from which to choose, we are concerned about the latter two options. For the fact of the matter is that many, many organizations are still not reporting on true results, on actual outcomes. Rather, the majority seem to still be reporting on activity, but calling it a “performance metric.” Unfortunately, one of the examples GuideStar gives on its announcement page only tends to endorse this practice. If your organization works in microfinance, GuideStar writes, you could report on the number of loans you issued. The number of loans issued is not a result, an outcome, or an impact. It is an activity, an output. It says nothing about an organization’s effectiveness. As an example, if an organization delivers meals-on-wheels, presumably to enhance the nutrition and health of the recipients, what is the value in reporting on the number of meals delivered? Yes, it might suggest how busy the organization is. But unknown is whether the meal was consumed, whether the intended recipient was the one who ate it, or whether it was having the intended effect. How, therefore, does a count of meals delivered help the organization do a better job? What guidance does such a metric give the donor? Beyond giving a sense of its reach, how does the number of loans issued tell anyone whether a microfinance organization is having any appreciable positive, sustainable impact on the community it exists to serve? We are all for the measurement of actual performance. We are, especially, all for letting donors know which organizations are doing this and which aren’t. But a system that allows, and even encourages, organizations to continue reporting on outputs and activities does no one any good. It doesn’t help donors find the most effective organizations to support. It doesn’t help the organization learn and do better. And in the end it doesn’t help the intended beneficiaries….the ones our sector exists to serve. GuideStar is a great organization. We have faith that its leadership wants to do the best thing possible. But this initiative, if the standards are not changed, will not ultimately achieve what GuideStar is hoping for…a better way for organizations to let the world know what they’re accomplishing…because, as McDonald’s famous sign, “BILLIONS SERVED,” amply reminds us, simply doing more is not necessarily doing better. Great post Bob. As a charity analyst, having impact/outcome reporting would be the gold standard. I believe mere output/activity reporting is still a worthy intermediary step. Far too often we are still seeing charities not report any outputs. Take for example the Children’s Miracle Network “since our founding we’ve donated $100 million to children’s hospitals”. This is exactly the same as “billions served”. I see value in operating metrics – number of meals served in 2015 vs. 2014. Most charities are not reporting to donors a basic dashboard of operating metrics consistently presented for the last 3 years. In Canada, we are assessing donor reporting. For donors to give intelligently, there needs to be better results reporting. Far too often charity reporting is fluffy marketing with no substance. We’re seeing slight improvements. In 2015, we measured a 4% improvement in donor reporting by 654 charities. The average score was 95 out of a total 260. We hope through “nudging”, publicly reporting a charity’s “donor accountability grade” and star ratings, donor reporting grades can improve to 150 by 2025. On the impact reporting side, in 2015 we asked 200 social service charities for data, only 25% had reasonable data for measuring outcomes/impact. There is a chronic lack of good data in the charity sector. There is a need for initiatives, Guidestar’s, Charity Navigator’s and donors, all of us working on improving charity reporting. It’s simply too much work for any single organization to achieve alone. But together, these initiatives can raise the standards creating a more transparent and accountable charity sector that is focused on social results. Great article Brian. Your blogs are always worth a read. Overhead reporting has always been a problem, especially when looking for grants. Everyone expects you to run at ZERO overhead! We look at what happened with the Wounded Warrior Project and we all get painted with the same brush. I applaud and appreciate Guidestar for the efforts but it needs to be though through a little bit more.